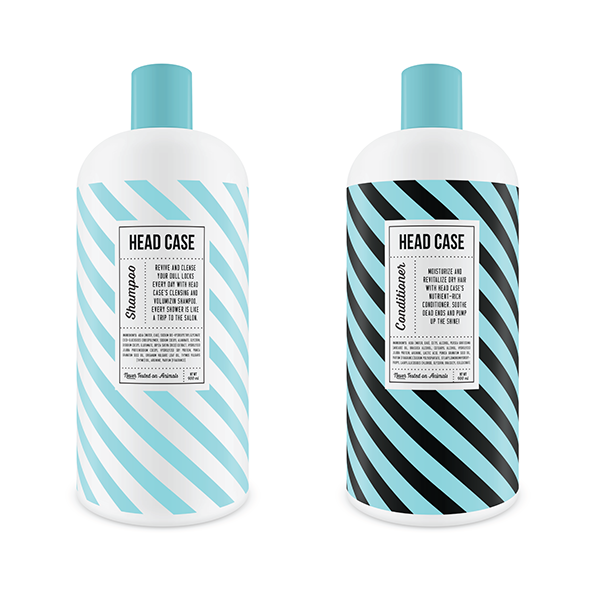 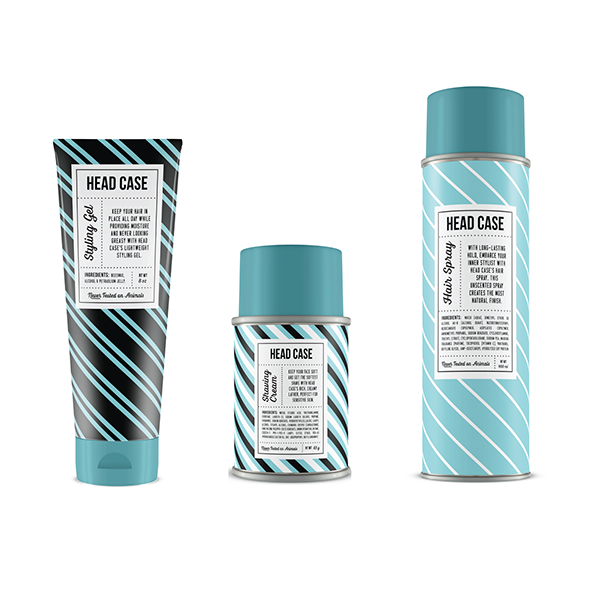 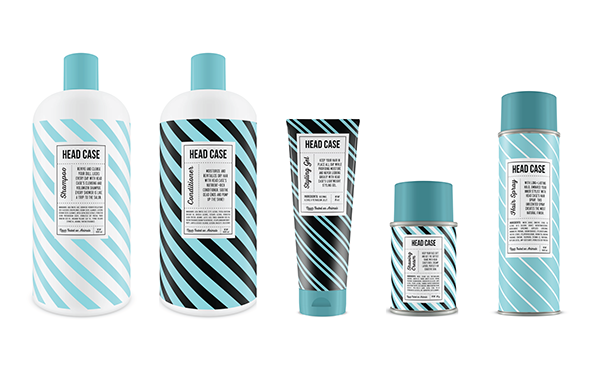 Head Case is a unisex line of hair care products targeting young,bold individuals. 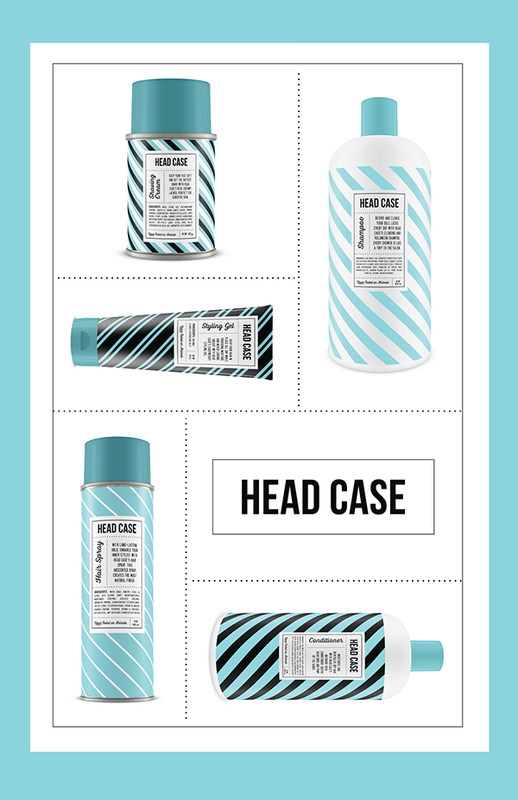 A sticker-like label marks all containers maintaing a consistent type lock up on top of varying pattens of stripes. 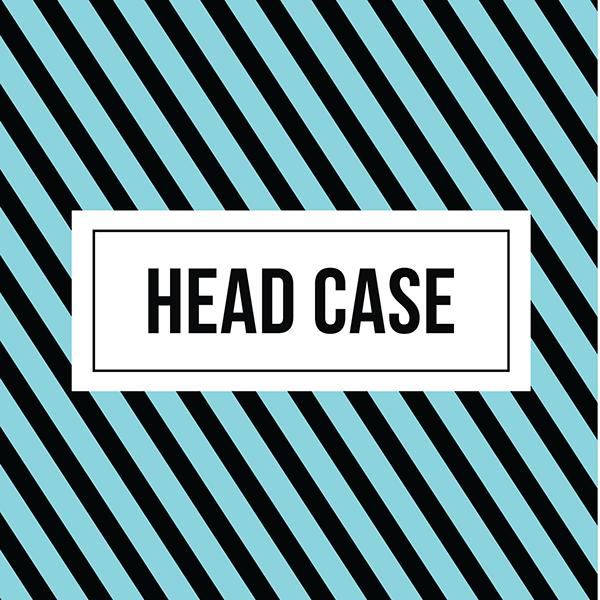 Created for Dan Cassaro's advanced type class.